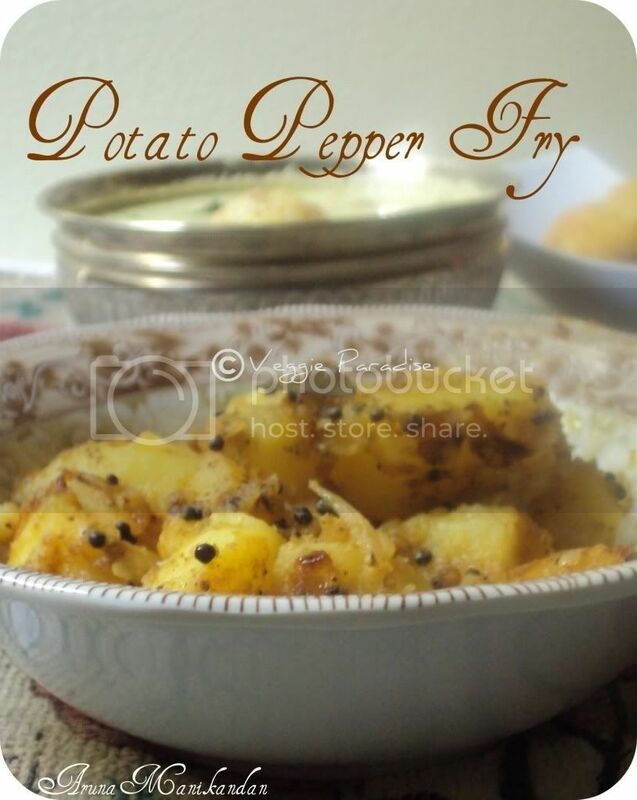 Potato Pepper Fry - This is a great tasting stir fry . I love the combination of hot peppercorns and potatoes, as they blend very well . 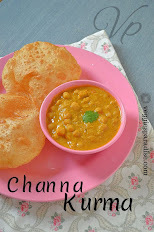 Serve this delicious fry with rice or roti's. Heat oil in a pan, add mustard seed when they stop spluttering add urad dhal followed by curry leaves and crushed pepper, fry them for a min. Add the chopped onions and saute until they turn translucent. Now add the potatoes along with salt and sambar powder. Stir it well and allow to cook in medium flame for about 10 mins. Those who like the taste of ginger-garlic can add at the time of frying the onions . You can also add some grated coconut at the end and mix them gently. Adjust the peppercorns according to your taste. 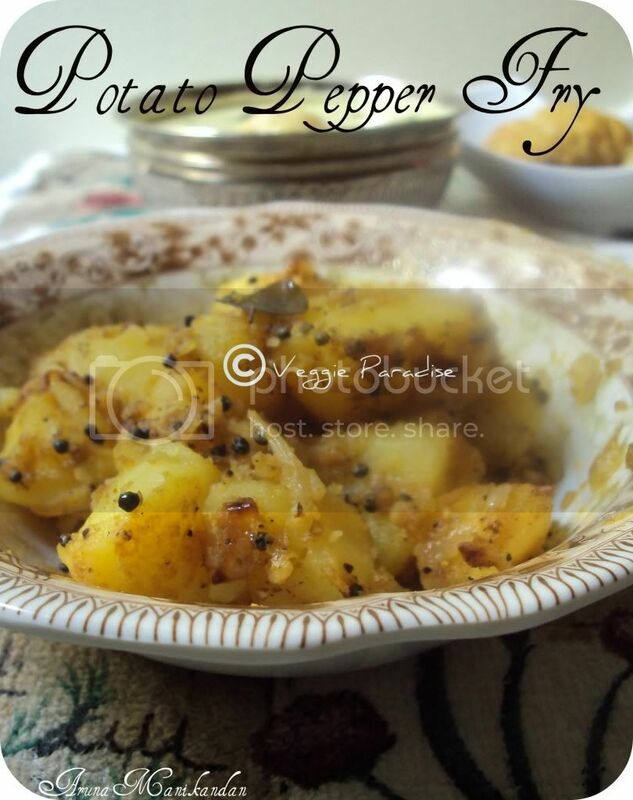 Lovely recipe...potatoes with peppercorns wud make a delicious combo. yummy n delicious fry....i use to do with red chilly powder...will try with pepper! Lovely easy flavourful side dish. Super delicious potato fry,seriously am drooling over that bowl..
Pepper in potatoes is super good! Luvly luking Potatoes fried and seasoned with Pepper.Supergood recipe Dear Aruna.Thanks for sharing and dropping in. delicious and tempting potato fry..
nice recipe..pretty simple yet looks tasty..
Hey Aruna.. Hope ur doing good.. Long time no see !! These potato 's are so cute.. and sounds very yummy ! Cannot think of a better combo of this potato fry with curd rice. 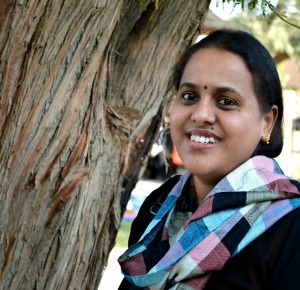 Very inviting pics aruna.